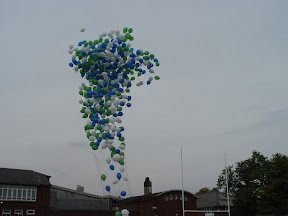 The balloon release finale saw 1,000 balloons in school colours take to the sky. Who knows where our furthest flown balloon will land! Watch this space for details of this and further fundraising events. Thanks to everyone for attending and making it such a memorable afternoon.